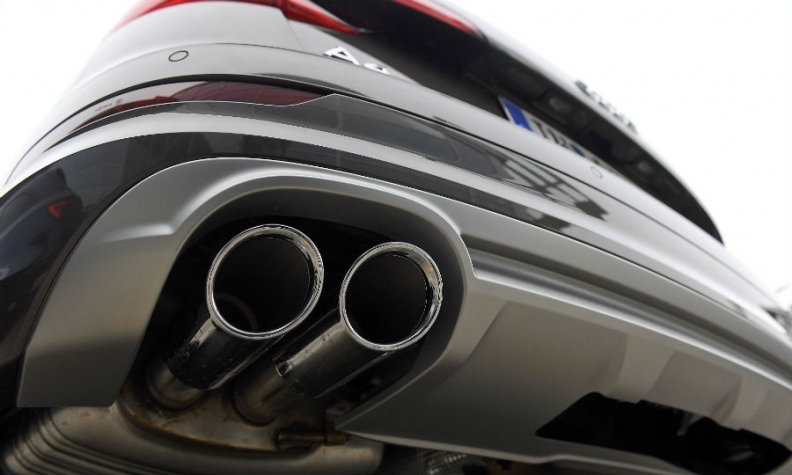 MUNICH -- German carmakers are closing in on a deal to provide hardware fixes to diesel cars to quell growing public uproar over the vehicles' harmful emissions, part of a package of initiatives that could cost as much as 5 billion euros ($5.9 billion), people familiar with the matter said. Exchanging parts, such as installing larger tanks for exhaust-treatment fluid, could cost as much as 3 billion euros, said the people, who asked not to be identified because the talks are confidential. The negotiations are complex, and while there's intense pressure to reach a deal at the so-called Diesel Summit on Wednesday in Berlin, there's no guarantee on what will ultimately be agreed on. In addition to upgrading hardware features, the auto industry is discussing with the government plans to boost electric cars as well as create incentives to trade in older diesels. Volkswagen Group, Daimler and BMW declined to comment on talks ahead of the meeting. Germany's Transport Ministry wasn't immediately available to comment. German auto executives are being summoned to Berlin to meet with government officials to discuss measures for cleaning up diesel cars and avoiding bans in cities. Political pressure has been growing since Volkswagen's emissions-cheating scandal erupted in September 2015. That's been followed by a continued flow of bad news, increasing public ire over the growing gap between test results and real-world pollution from diesel cars. Allegations of widespread collusion among German automakers have put the industry even more on the defensive as federal elections loom in September. The fading political support is a risk for automakers as they battle to shore up diesel, which is a critical part of their strategy to avoid hefty fines under stricter carbon-dioxide targets beginning in 2020. The plan involving hardware upgrades for diesel cars goes beyond what manufacturers had planned to offer. The move is more complex and costly than the software patches that have so far been announced on for newer diesel cars with Euro-5 and -6 emissions systems. That's because suppliers need to make the components and service personnel need to be trained. Daimler's plan to upgrade software on more than 3 million diesel models in Europe will cost slightly more than 70 euros per car, while hardware fixes could add up to 1,000 euros for each vehicle. In return for agreeing to a more expensive solution, carmakers want the government to make a significant contribution to help municipalities facilitate the switch to electric cars by installing more charging stations. That could lift the final value of the package to a range of 4 billion to 5 billion euros, one of the people said.